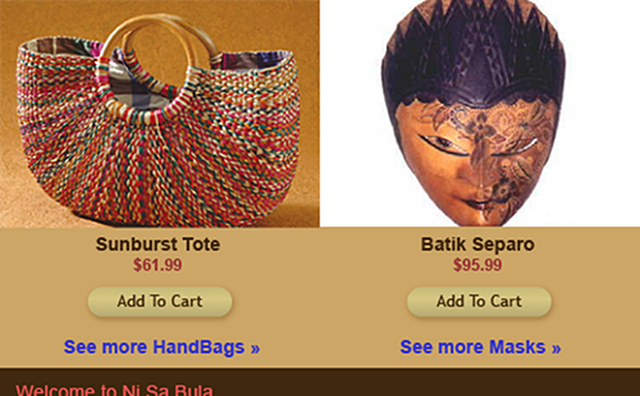 This is an e-commerce site that I single-handedly designed and developed in 2008 using the Zen Cart e-commerce solution. Click on each screenshot to enlarge them. 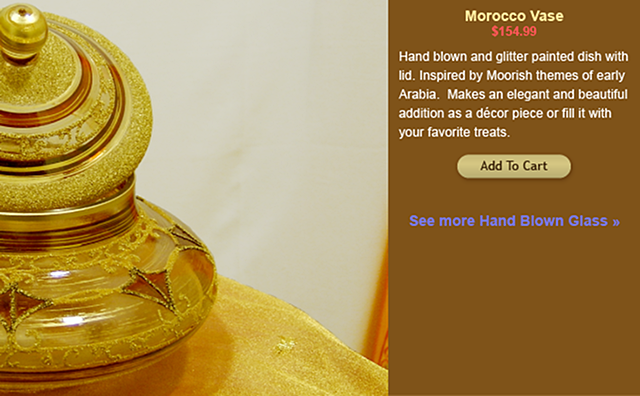 This site was designed primarily for desktop users as mobile use was still limited. 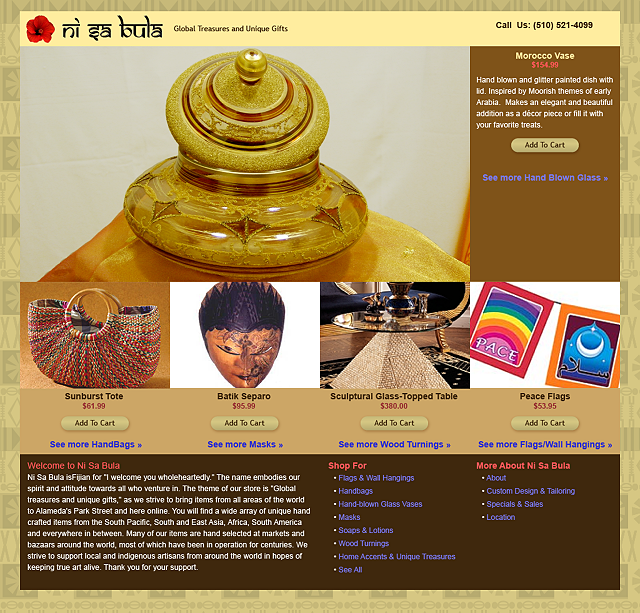 The site features a 4-column grid-based design. The homepage design includes a "hero" product and four more featured products that could be changed using the Zen Cart admin tools. 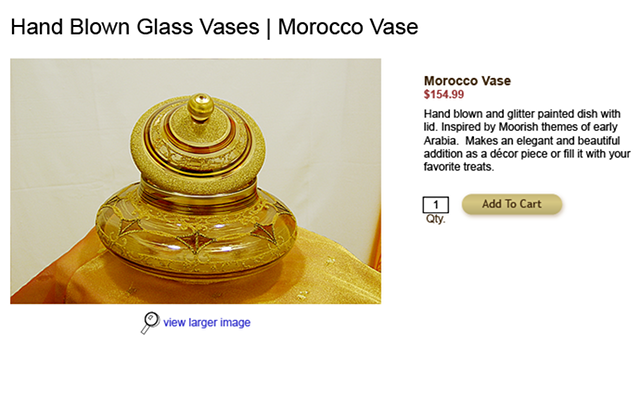 Larger versions of the product images on the product detail page could be viewed in modal experience by clicking on the magnifying glass situated below the image. 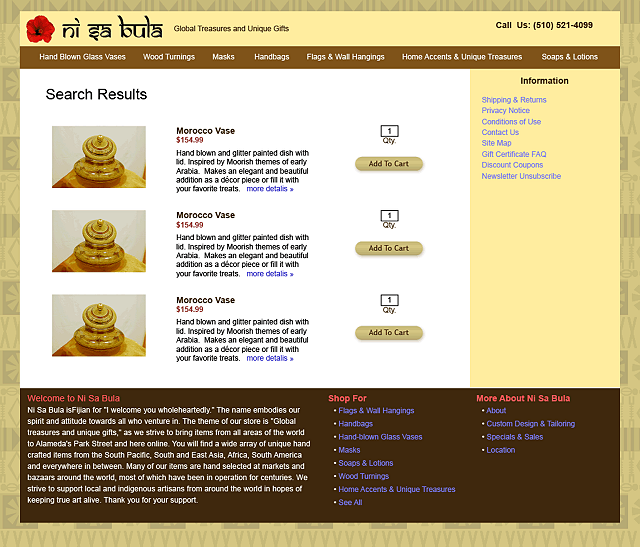 The design features two basic layouts; the homepage and the content layout page with a right sidebar that was used for product details and search result listings. 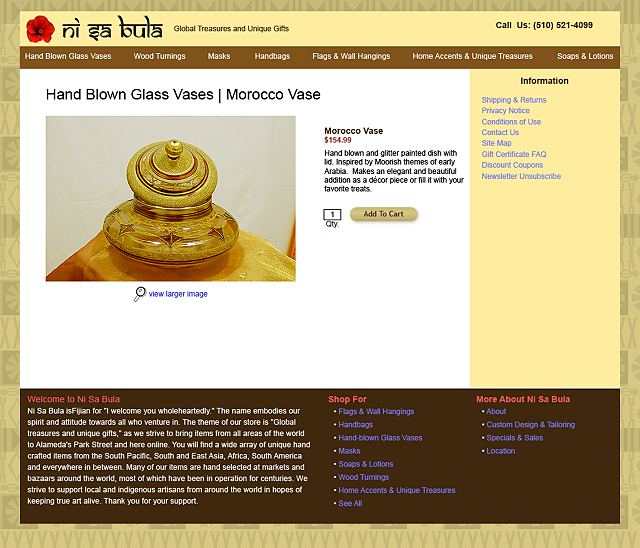 Navigation on underlying pages was provided by a topnav bar listing product categories. A Fijian paper fabic pattern was used as a background tile as a tribute to the proprietor’s heritage. The color palette features earthtones accompanied by a red hue that was extracted from the logo for accents, and a blue hue for links. This project was successfully launched and stayed in production for two years. It was eventually taken on by another developer who moved it to Shopify after some unfortunate edits broke the template I had provided.